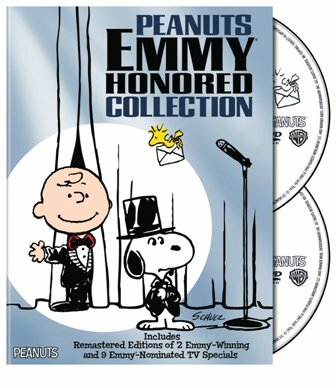 We’ve partnered with Warner Bros. Home Entertainment for a giveaway of the brand new DVD release, Peanuts: The Emmy Honored Collection. Available now for purchase (visit the WB Shop), this two-disc DVD set includes 11 classic Peanuts specials. One lucky winner will receive this DVD compilation. To enter for a chance to win, answer the easy question in the Rafflecopter form below by September 23, 2015 (U.S. residents, 18+ only, no P.O. boxes). Charlie Brown and the Great Pumpkin! Everyone in our house loves The Charlie Brown Christmas. Of course, my favorite Peanuts special is It’s the Great Pumpkin, Charlie Brown. I like It’s the Great Pumpkin Charlie Brown. Definitely. Great Pumpkin is my favorite. Charlie Brown Christmas at my house. Definitely my favorite is It’s the Great Pumpkin Charlie Brown. I love the Christmas special. Like almost everyone else it is probably the great Halloween classic. The Great Pumpkin. Sorry to not be more original. I like the cartoon Charlie Brown Christmas. Great Pumpkin is my all time fave!